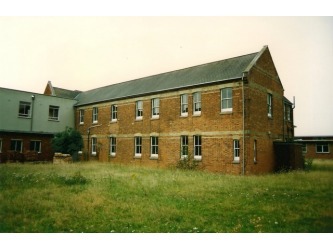 The HOUSE OF INDUSTRY, otherwise known as the Oulton Workhouse or Poorhouse, (above - top three photos and the bottom middle photo and bottom print (the latter is dated 1784) stood in land to the north of Union Lane. (The author had the presence of mind to take the above four photos in the 1980s prior to demolition, otherwise there would have been no photographic evidence of these old buildings!!). There now stands in its place the more acceptable Oulton Park Care Centre (above photo, bottom right), a privately run residential home for the elderly, which also has a section which cares for those who suffer from dementia. 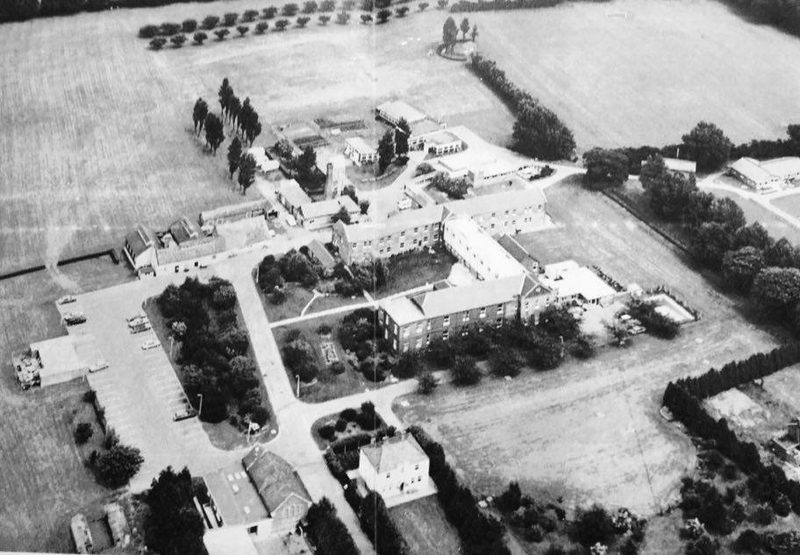 The Oulton Workhouse, apart from its original purpose of offering maintenance to the poor for over 150 years, was also used until recent times (known then as LOTHINGLAND HOSPITAL) as a hospital for the mentally afflicted. 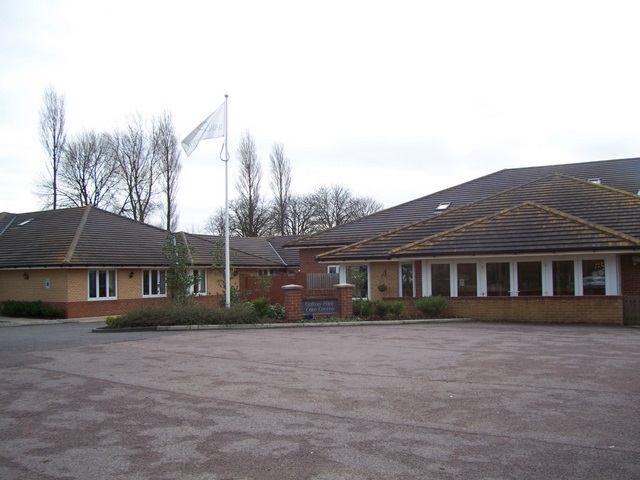 'Care in the Community' legislation saw to its demise, when purpose built bungalows were built nearby to house some of those unfortunate people and give them (with some supervision) some sort of life that approached normality. Ref:: The White Directory of 1841. This publication states that The House of Industry originally belonged to the Incorporated Hundred of Mutford and Lothingland. 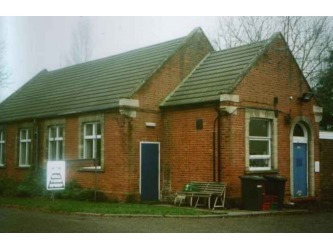 It was built in 1765 at a cost of around £3000. The 24 parishes of this Hundred were incorporated for the maintenance of the poor, by an Act of Parliament, passed November 1763. Notwithstanding the passing of the General Poor Law Amendment Act of 1834, this incorporated Hundred continued under its own local management - The Board of Guardians - who only adopted suggestions made by the Poor Law Commissioners which they thought to be useful and necessary. 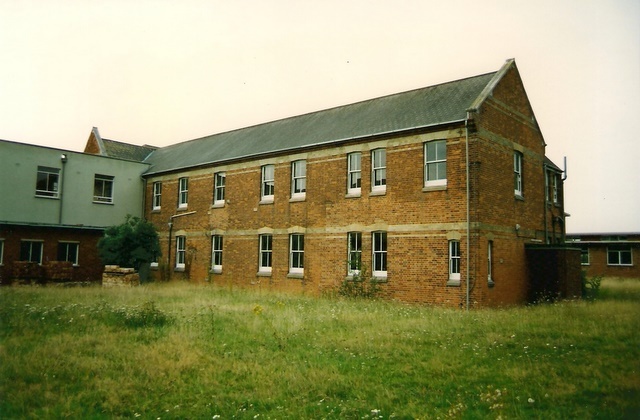 In 1836 the building was enlarged, at a cost of £1100 and alterations made for 'the better classification of the inmates', who appear to have numbered consistently between two and three hundred according to census records. 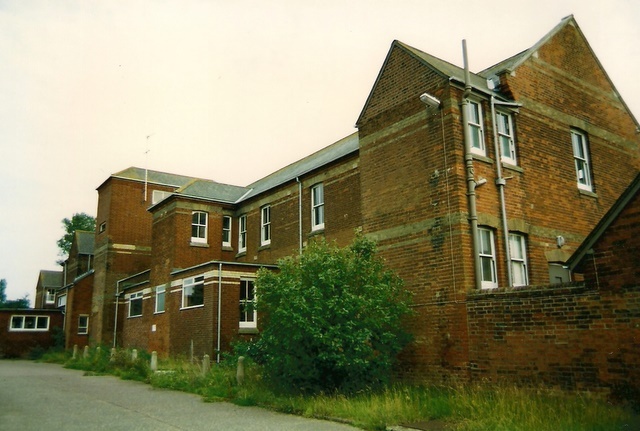 In the list of Enumeration Districts of Lowestoft for 1891 (District 19 Oulton - Lowestoft Library Fiche 2) the records for Oulton Workhouse show the total number of staff and inmates as being: Officers - 2 male and 6 female. Old and Infirm - 58 male and 28 female. Able bodied - 20 male and 29 female. Children under 16 - 50 male and 42 female. A total of 235. Old maps indicate a 'burial ground' close to the site. This contains a great many unmarked graves of some of the paupers who once resided in the Poorhouse. Housing developers in the immediate vicinity take note!! 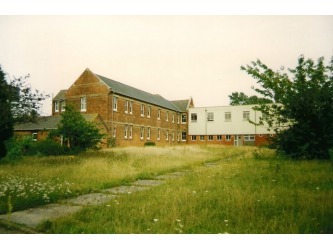 The hospital had its own Chapel build within the hospital grounds. 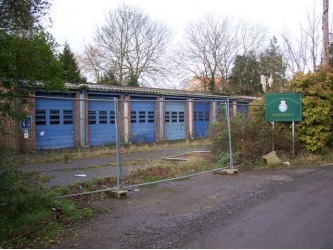 The photo on the above left shows it when it was used as the Ambulance Station HQ (late 1980s). 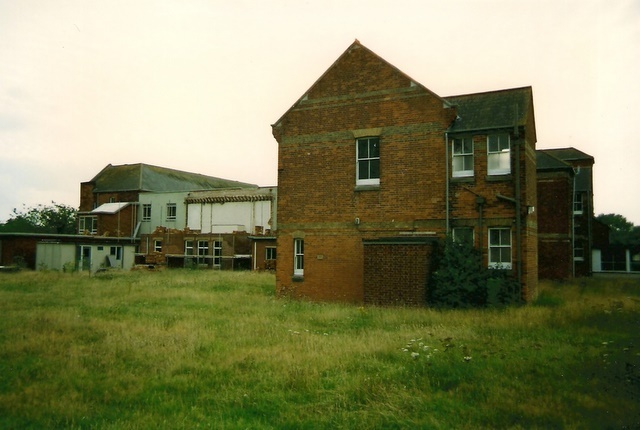 The Ambulance Station (bottom left of the top group of photos) was built to serve the Waveney area but was vacated when a new station was erected close to the James Paget University Hospital, in nearby Gorleston (Gt.Yarmouth and Waveney Health Authority). It stood derelict and boarded up (photo above right, taken around 2008) for quite a few years until developers bought the land. 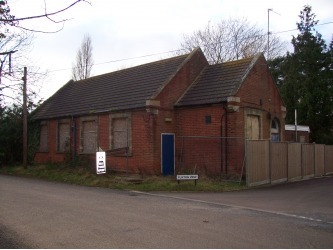 The larger photo above, is a 2013 view of the site of the old Workhouse Chapel, taken from the same viewpoint. New upmarket executive residences are now being built on the site. Note the road sign and fence (Flixton View) are still in the same place !! 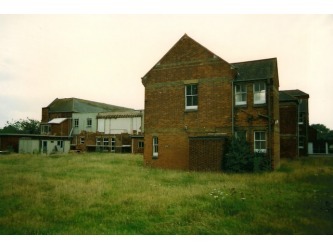 Above: A view of the new houses being built on the Old Ambulance Station site (2013). Photo taken from roughly the same viewpoint as the photo of the ambulance bays shown in the top group of six photos. Above: A photo of the staff of Lothingland Hospital, taken in the 1930s (possibly the 1937 festivities for the coronation of George VI). 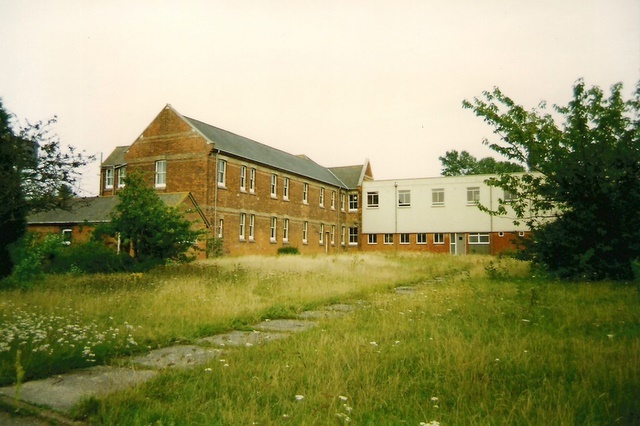 The gentleman at the top right of the photo was Arnold Stafford Read, who was the Main Warden/Mental Health Nurse. The gentleman, standing at the extreme left of the middle row was William Soanes, the carpenter and handyman (with Barbara Boon standing next to him - a resident of Oulton - who later became his wife). The bearded gentleman sitting centrally was Major Selwyn Wollaston Humphrey who was probably on the board of governors of the hospital. He was Mayor of Lowestoft several times between 1920 and 1935. He also served as the ARP Controller for the area during WW2. The gentleman standing in the back row directly under the lamp was Tom Chipperfield (male nurse), later a well known local politician and Labour Party activist . 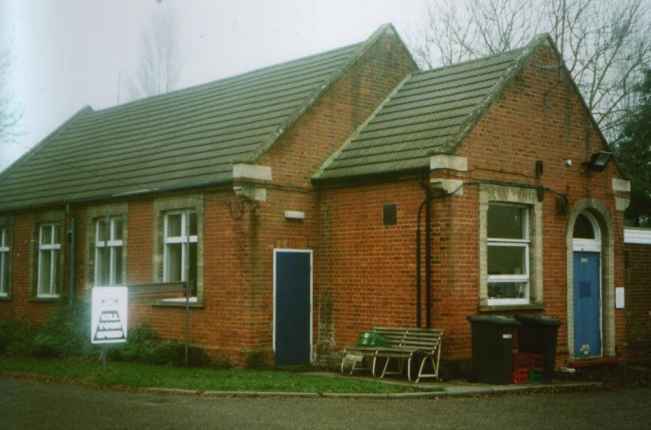 (Photo reproduced by kind permission of Jonathan Read, Pakefield - the grandson of the above Arnold Stafford Read). Above: Jessie Read (nee Hines) a member of the nursing staff of Lothingland Hospital during the 1930s. Wife of the Main Warden Arnold Stafford Read and grandmother of Jonathan Read of Pakefield who supplied the photograph.